I spend a lot of my time with clients helping them to craft persuasive sales presentations. When I ask the right questions – and clients really think about the right answers – the process runs like a dream. Without asking the right questions, it can be so much harder. Here are the top 10 questions to ask when you want to write a winning sales presentation. Many of them will be worth asking whenever you start to think about your sales messaging. 1) Who will the presentation be delivered to, and by whom? 2) What challenges do your prospects face that you address? 3) Who are you competing with in trying to make this sale? Has the prospect decided to change, or are you competing with the status quo and inertia? Are you competing with a DIY approach and the people inside the company who are currently proud of their own efforts? Are you competing with other companies approaching things in the same way, or even in a completely different way? It’s no use explaining why you are better than a competitor if you are competing against the fear of change and the prospect isn’t really sure they have a problem. Understanding this question is essential. 4) What will stop your prospects overcoming these challenges if they take a different approach to solving their problems? 5) Why should prospects choose you? What makes your approach special? What are the key advantages that your solution offers? What things that your prospects care about really set you apart? Brainstorm answers to this question, and for each idea, ask yourself: Do prospects care about this? Can prospects be made to care about this? Is this more than ‘table stakes’ – something we have to have, but not something we’re evaluated on? Do we have competitive advantage in this area? 6) What objections or misconceptions do you need to overcome? 7) How can you demonstrate you offer the advantages and benefits that you claim to offer? How does your solution work? What statistics, independent reviews, testimonials, case studies, and awards will help to back up your story to make it convincing? 8) What’s the concrete next step you want prospects to take as a result of your presentation? It makes a difference. Are you trying to be hired or short-listed? If you just need to be short-listed, it can be enough to explain that you offer something different from others. Are you selling a contract or giving away a trial? If you are just trying to sell a trial, you can emphasize that there’s little risk to the client. Your messaging needs to match your objectives for your sales presentation. 9) How can you eliminate bullet points to create compelling slides that help presenters get your message across? Even with the best messaging in the world, if your presenters can’t get your point across you’re in trouble. Bullet points don’t work, because the audience will ignore your presenters while they read the slides, then switch off. Slides that look good on SlideShare don’t work because they are self-explanatory and make your sales people unnecessary. Death by PowerPointis no way to sell. What visuals will help your presenters communicate your messages, without making them surplus to requirements? Great slide design is key. 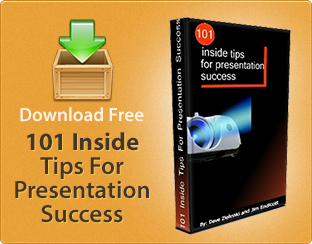 10) How can you make sure your presenters actually adopt your new sales presentation? Will sales people and marketing sit down together to create the new sales tools you need (a real key area for sales and marketing alignment)? 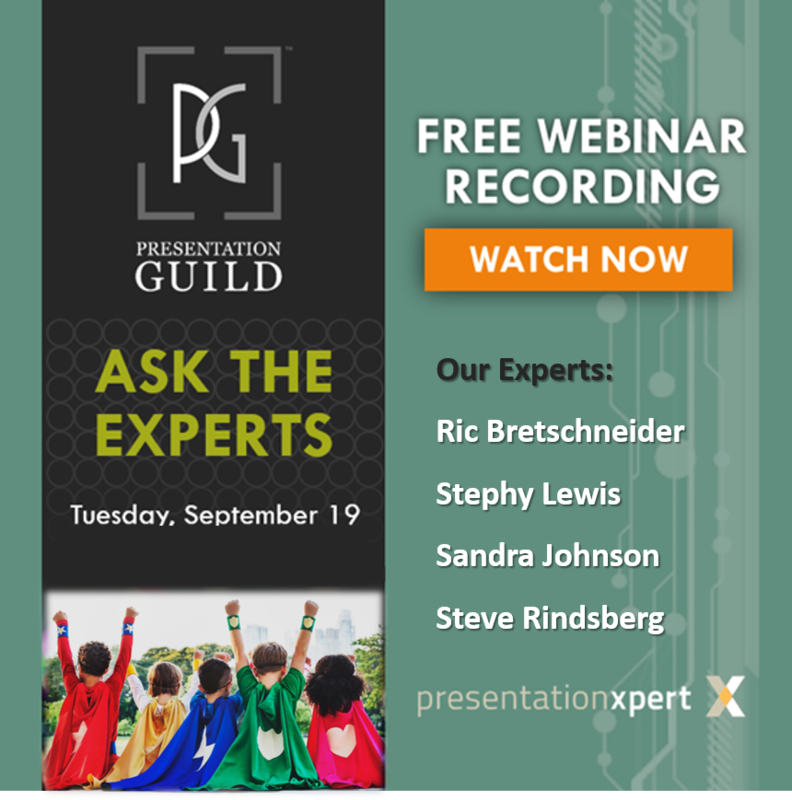 Will you provide a recorded version of the presentation for reference? 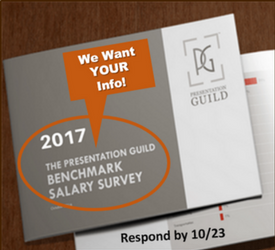 Will you provide presentation skills training for sales people? If nobody uses the new sales presentation, it’s not going to be much use.